There is little doubt that a deal will be made on Greece, yet again, even as the new government of Tsipras plays hardball with a Friday deadline. Everyone knows they have to give a sense of relief to the voters that elected them, and everyone in Brussels knows they can’t appear to give away too much. They will fudge a new agreement and everyone will claim that they are satisfied. The dysfunctional marriage will continue. This comes even as many have decided that a “Grexit”, or Greek exit from the Eurozone, would not be a total disaster. It would only be a small disaster, after all, and Europe should be used to that as well. Nevermind. All of this comes amid a European Central Bank (ECB) realization that the austerity programs that forced the original settlement on Greece were a horrible idea. European economic growth is essentially zero and unemployment remains horrifically high. 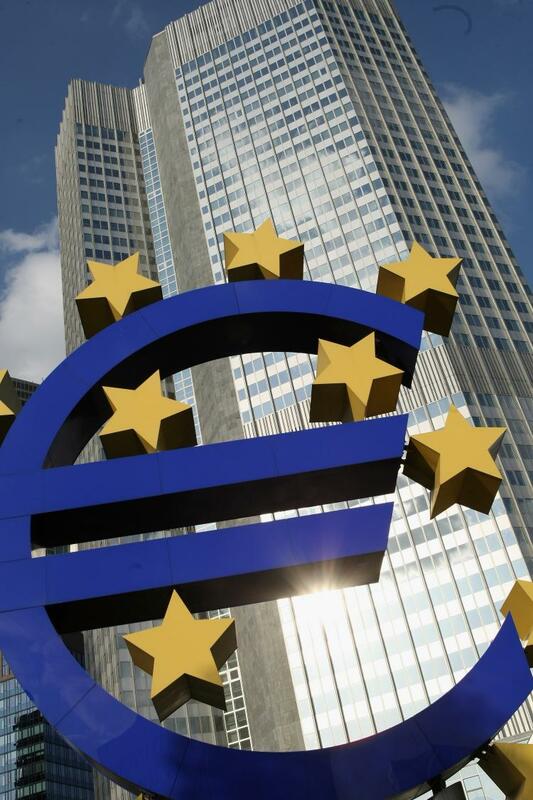 The ECB finally decided to print €1.1 trillion in “quantitative easing” last month. It was an admission of defeat without any real admission at all, something we have to expect. 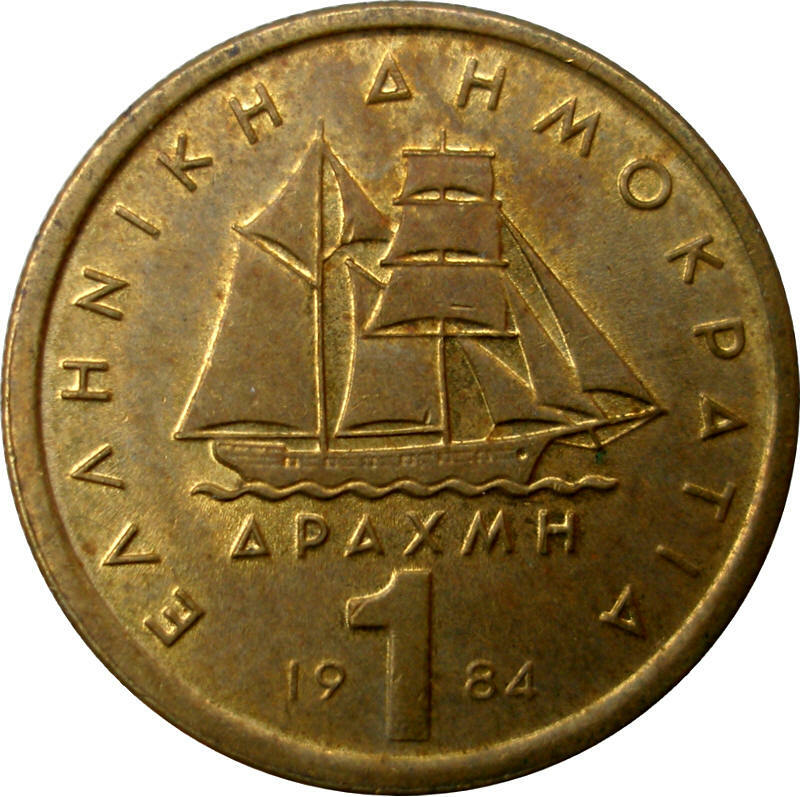 Will we see the Drachma again? It’s unlikley. The Greek crisis has pushed Europe much harder than anyone would ever care to admit over the last seven years, testing the marriage more than anything else. The harsh terms given to Greece were the main reason that the EU was forced to pass on an historic opportunity in 2013, when it could have taken Ukraine’s glance westward with a now cheap looking $20B or less. As sure as all politics is local, though, the example set by such a loan would never fly in the midst of harsh terms for Greece and other nations on the edge in Europe. The EU passed on the loan, forcing Ukraine to continue to look eastward for help – and causing the people of Ukraine to take to the Maidan in protest. If Europe had been strong, none of this would have ever happened. But it is happening and Europe now has to face not just their dependence on each other but their crippling dependence on Russia. 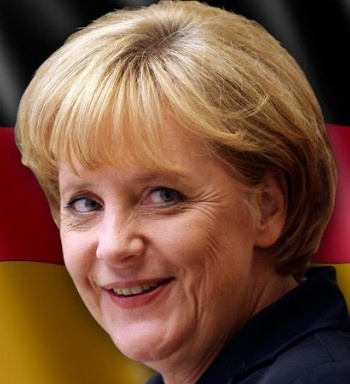 Chancellor Merkel. She’ll always find a way to win. The crisis of the week will dissipate and Brussels will find a way to fudge the results so that no one will look bad. That’s not the problem at all. Perhaps the Euros being printed will restart the economy and provide some opportunity across Europe for the first time in nearly a decade. That’s not the issue either. The problem remains that Europe is whatever it is simply because it has to be. It has no greater nor no lesser purpose than that. It’s a terrible situation to be in because the world cannot count on it to be strong and stable as a genuine force that matches the great economic and demographic strength it has on paper. There will be a Europe, and there will be a Euro. It will be up to the kids of this strange dysfunctional marriage to tell us all if it was worth it. This entry was posted in Money, Nooze and tagged default, ECB, Economics, economy, Euro, Greece, money, Russia, Ukraine. Bookmark the permalink. I was reading something earlier that didn’t explain this as much as you have. Thanks again! This is true. Do you think it will continue to escalate? If Russia doesn’t hold to the peace agreement by removing the heavy weapons, they will see their banking system cut off from the rest of the world by having SWIFT access removed. I hope that there isn’t significant military action taken, though I fear there may be along with the very tough sanctions. I was watching the news tonight and there was still some fighting going on. Do you think the West will get involved in military action? That would seem like it could escalate it into something far worse than what’s going on in the Middle East. There is only a little fighting going on, and the real test comes when Russia needs to remove its heavy weapons – which is now. If they don’t do that I think the main action will be economic (though very nasty) and I hope not too much military. Are they planning to almost completely isolate Russia economically? That seems like it would completely cripple Russia. What else would Russia have to lose from that point forward? It would seem as though continuing with the fighting wouldn’t matter because they are running out of options. I think that is in the cards, and exactly how Russia responds is an open question. It puts a lot of pressure on Putin, but the people of Russia have been fed a steady diet of propaganda that might steady them for a long fight against “fascism”. Oh wow! As always, thanks for sharing! That sounds like a good idea all around. Good blog. Europe will find a way. Can’t they just cancel the debt with this money they are printing? Seems like that would do the most good. Europe is a mess. We may have our problems but we are nowhere near as bad. Russia is only pushing them around because they think they can get away with it and so far they are right. Yes. They have to take a stand and make it stick. It seems like people are talking about European vacations like you said. That’s something to look forward to. I am thinking about it this summer if airfare is reasonable! It will be an excellent time for it! Everything is about 20% off with the Euro tanking. I believe you are a bit over optimistic. Tomorrow we shall find out if the Greeks stay in the EMU or if they leave. The ball is now in Germany’s court. If the Greeks stand fast as I believe they will, and they really have no alternative, then either Germany must accept the extension of the funding of the liquidity only for the moment or it must reject even that and stick to its previous demands of nothing changes. It will not change the fact that the idea of a monetary union that has no central government cannot work. The zone will break up with the strongest members possible keeping the Euro for their own until even that fails, and the weaker states opting out, defaulting on debt, and printing their own currency. We will see if I am optimistic, indeed. It’s turned a bit south since I wrote this, with Germany rebelling against Brussels and refusing to provide a six month bridge loan. But I think they will patch it together. Actually, I think I am as cynical as I am optimistic because I don’t believe they will do something real or lasting, but really fudge how the whole thing is handled. They are all pretty amazing at times, IMHO. Totally predictable, totally fudgy. This from David Stockman. It is possible that there will be a muddle through until there can’t be one. I think Stockman a bit too optimistic about Greek expectations. Varoufakis is too much the non Keynesian, the radical economist on the order of Steve Keen. I do not extend and pretend will keep the EU afloat much longer, the gunwales are already swamped. Touché, mon frere! Yes, they will muddle through right up until the moment it is not possible to muddle through. I think that is still a ways away, but I admit that this is possibly much sooner than later. I am watching for signs that they are done. What would you watch for? Can we agree on the signs of death in advance? A deal was reached at the last possible second. They do indeed get to muddle through another four months. What comes next? We will have to see.